Just in time with Korean liberal & independence day, The Battleship Island finally arrived in Indonesia to exhibit the heroic battle between Koreans and Japanese. 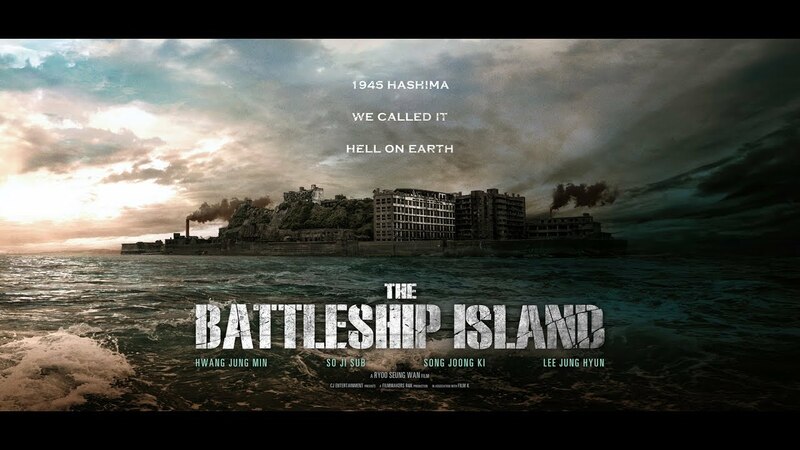 Directed by Ryu Seung Wan (previously directing Veteran), the movie is planned very detailed and he revealed The Battleship Island is actually being planned before Veteran. The island, where the main story is plotted, were built in 6 months to recreate the exact ambiance with Hashima Island, where 400 Korean forced labor works. Bows down to the set and property director, all the mining sites and every inch of the island were built well making the movies looks even more real. Hwang Jung Min, So Ji Sub, Song Joong Ki, Lee Jung Hyun, and child actor Kim Su An successfully bringing their own character well. Even though the 4 main character comes from different background (bandmaster, gangster, Korean patriot, comfort women), they’re hand in hand to escape from the Hashima ‘hell’ and wishing to coming back to their homeland Korea. With all the betrayal and trust which built on the unstable emotion among Korean workers, Park Moo Young (Song Joong Ki) the Korean independence movement member, lead the group to escape under Japanese pressure and blockade. As this may confront viewers about how Japan was when they got Korea under their occupation, we believe that the story it self mainly to show how people can be when they’re under pressure and having strong power during a war rather than giving a sentiment about Japan. The epic strategy, the great set, the decent cast, and the smoothly flowing plot gave extra points to this movie. That’s how we learn, each of our country’s independence is the result of our successors sweat and blood, they’ve just reminded us again. We would like to extent our thanks to CBI Pictures and CGV for the invitation to the premiere and also for bringing The Battleship Island to Indonesia. The Battleship Island will start airing on cinemas August 16, 2017.